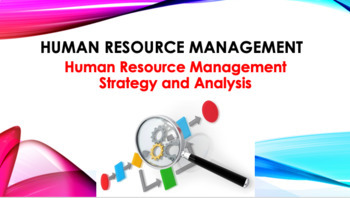 Human Resource Management Strategy and Analysis is a lecture which is covered during Human Resource Management Module. The main purpose of this lecture is to explain how managers formulate human resource strategies for their companies. We’ll address the strategic management process, types of strategies, strategic human resources management, HR metrics and benchmarking, high-performance work systems, and employee engagement. When the Ritz-Carlton Company took over managing the Portman Hotel in Shanghai, China, the hotel already had a good reputation among business travelers. However, many luxury hotels were opening there. To stay competitive, the Portman’s new managers decided to reposition the hotel with a new strategy, one that emphasized outstanding customer service. But they knew that improving the service would require new employee behaviors, and therefore new selection, training, and pay policies and practices. We will see what they did. Explain with examples each of the seven steps in the strategic management process. List with examples the main types of strategies. Define strategic human resource managementand give an example of strategic human resource management in practice. Give at least five examples of HR metrics. Give five examples of what employers can do to have high-performance systems. Describe how you would execute a program to improve employee engagement.